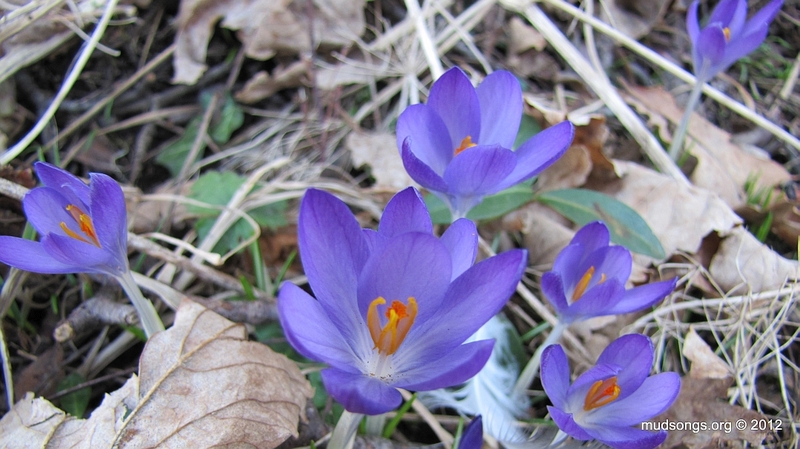 This entry was posted in Crocuses, Flowers, Month of April, Pollen and tagged Newfoundland Honey Bee Forage. Bookmark the permalink. I may not have a chance to upload the video mentioned in this post until Monday. I’m headed down the rabbit hole known as a film shoot. Everybody be good while I’m away. Same thing here today in Clarenville. The bees were bringing pollen in liek mad. I have yet to see a blooming flower but apparently they are out there. The bees were brining in a paly yellow pollen. I thought Colts Foot was deeper yellow/orange in color but I cannot say for certain. Bottom line, the bees were bringing in loads of pollen today and it shoudl help build brood fater than last year. Time will tell. Also I checked 3 colonies yesterday. They all had some form of eggs/open brood/closed brood present. Should be big changes in the next couple of weeks. Congratulations. Those are some beautiful flowers. I was in Iceland this weekend and their seasons seem pretty in step with yours, the first crocuses and snowdrops were out. Didn’t notice any bees there! I wonder, are beekeepers in Iceland? If there are, I’ll put them on my Weather page. Would getting queens in from Sweden or Norway be an option for you too maybe? Those queens must be pretty tough. That’s crazy, isn’t it? Beekeeping in Iceland. I’ve added Reykjavik to the weather page. Importing queens to Newfoundland, as far as I know, requires a lot of legal wrangling. I think the way it works is we import day-old brood comb, get them to Newfoundland fast, pull select eggs for grafting, destroy the remaining brood comb, and rear queens from the grafted eggs. I think that’s how it works. Apparently, it’s the safest way to insure mites aren’t spread to our honey bee population. Getting brood from Iceland doesn’t seem like a bad idea, though. I am one of those beekeepers in Iceland (started last summer) and have actually been following your blog since starting. Conditions here for beekeeping can vary greatly. Summer arrives earlier in the south and by the coast it is more temperate in winter. This winter has been pretty cold (not unusual really) but since my two hives are a bit inland in west of the county it reached -20°C a few times. I live in Reykjavík and plan on moving them closer to home for convenience’ sake. I maintain a online graph which I periodically refresh with data from the hives and the outside temperate and dewpoint. It spans july ’11 to the present. Great to see you on here Hersteinn! Respect to you and your bees for surviving a -20C winter. Yeah, I gotta say I’m impressed too. I thought St. John’s, Newfoundland, was one of the harshest places to keep bees, but I think Iceland has us beat. Reykjavik is definitely the coldest beekeeping location listed on my weather page. NOTE TO SELF: Do not wait until the dandelions appear to reverse the brood boxes. 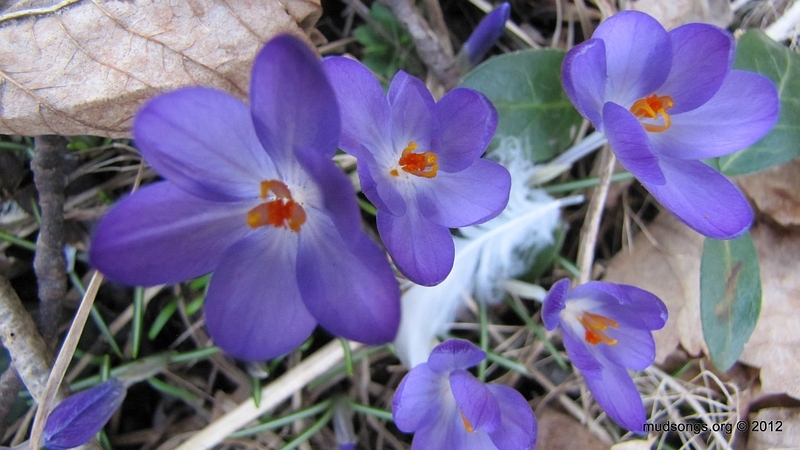 In urban St. John’s, it’s the April crocuses that jump start the bees in the spring — not the dandelions that don’t arrive until sometime in May. Reverse the brood boxes during the warm spell in April just after the crocuses bloom and the bees start bringing in pollen at a steady pace. We tried to reverse the boxes today and it was traumatic. There were too many bees, too many drone cells between the boxes. It was a huge disruption for the bees. It would have be easy for us and easier for the bees if he’d reverse the boxes a few weeks ago. I’ll write a post about it as soon as I can.